Monsoon is the season where all you would want to do is cosy up and grab yourself a nice and warm cup of tea and something spicy to go with it, the usual snack being hot pakoras that are served with equally spicy chutney! 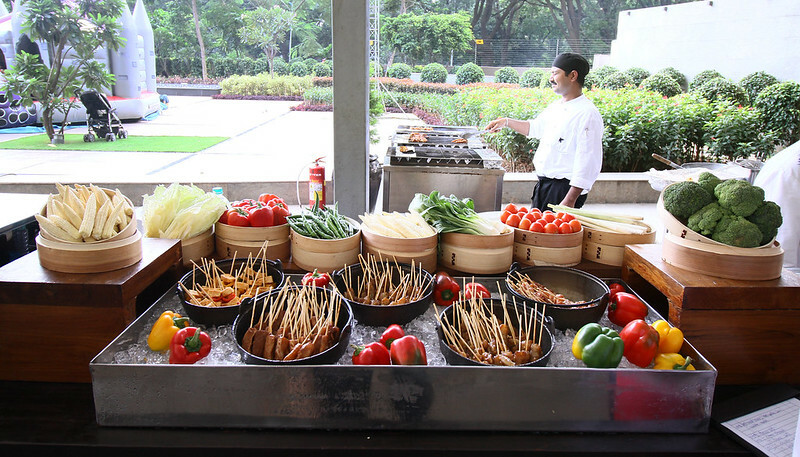 Now, keeping this fact as a baseline, the Monsoon Brunch at JW Kitchen is derived in the best possible way to let you experience the same feeling in a more elaborate manner. 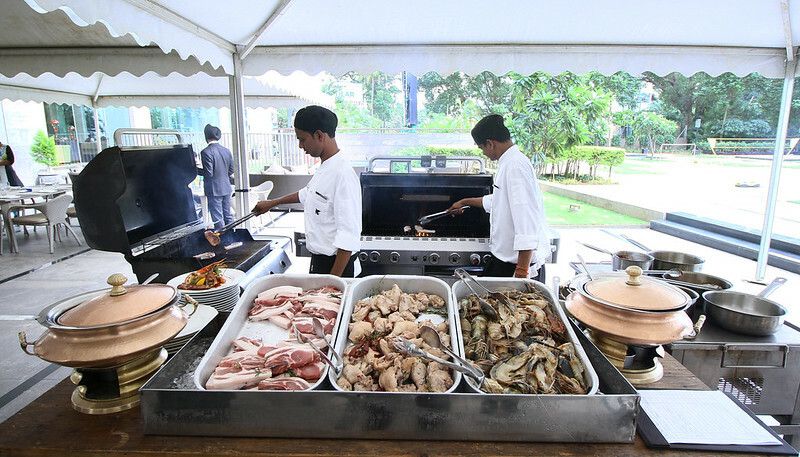 Dishes are served hot to suit the delightful weather, it would be the best way to go about a lovely Sunday. Read on to know more about our dining experience! We were here last Sunday to check out this award-winning Sunday Brunch, and as always, walked out happy! 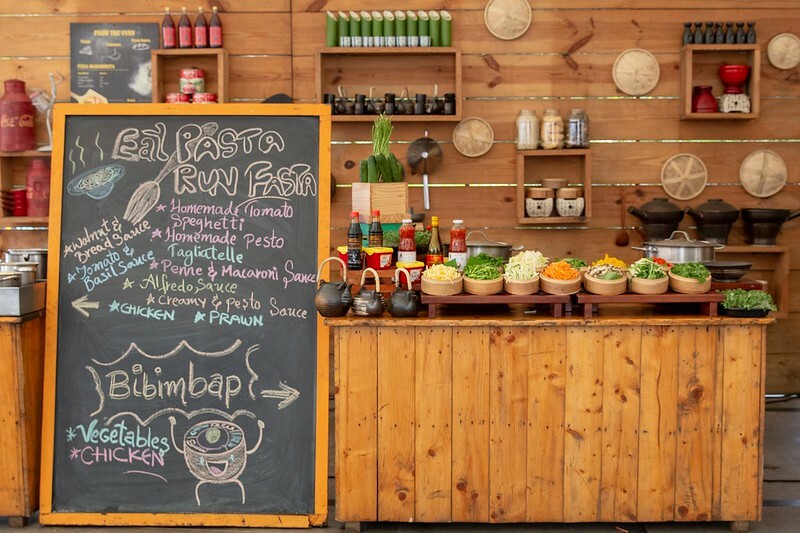 The expert team of chefs here have put together signature dishes that cover a wide variety of cuisines and include pure classics like fish and chips, momos, hot soups, steamed corn, samosas, live counters and much more. We had the Dabeli and fell in love with the nice tangy twist from the chutney that came along with it, the live counter on one of the corners was busy with people waiting to get their hands on Shakshouka (Mediterranean egg preparation) and sausages served on a bed of mashed potatoes. You definitely cannot miss the chat counter where the chat items are inspired by Kolkata chats, the chef who prepares them hails from West Bengal so you are sure to get your hands on some authentic preparations. 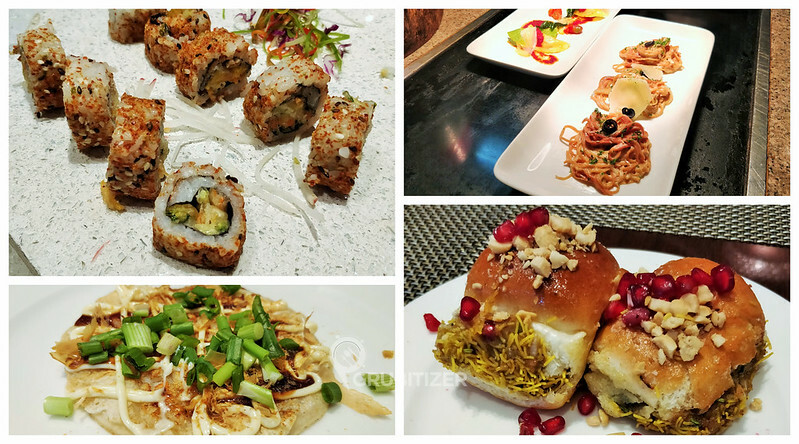 Executive Chef Shrikant Parashar, took us around to showcase all the different sections and the spread is just mind-blowing, with so many options to choose from, this is like getting maximum bang for your buck and at the same time getting to experience luxurious dining experience and the impeccable service that comes with it. You can also order your favourite craft beer that comes from the brewery setup stationed in Spice Terrace upstairs. 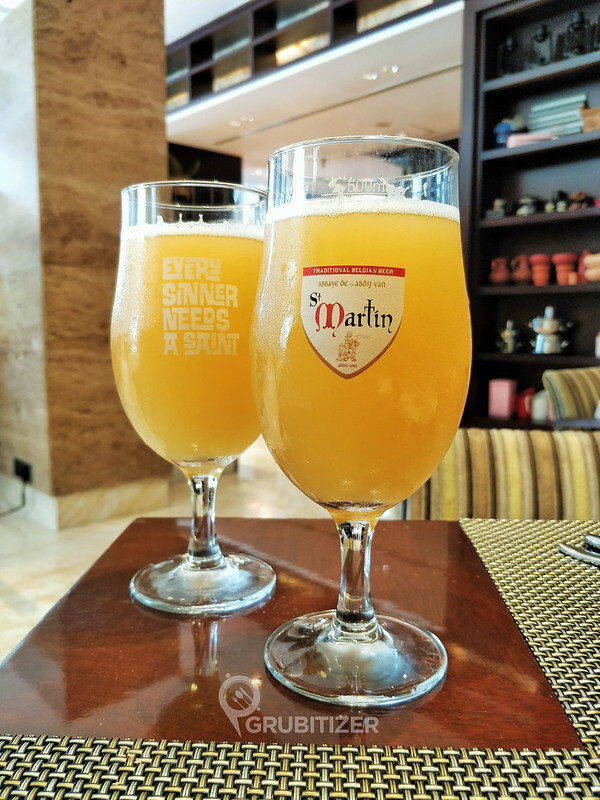 We had the Saint Martin Belgian White and it was really good. 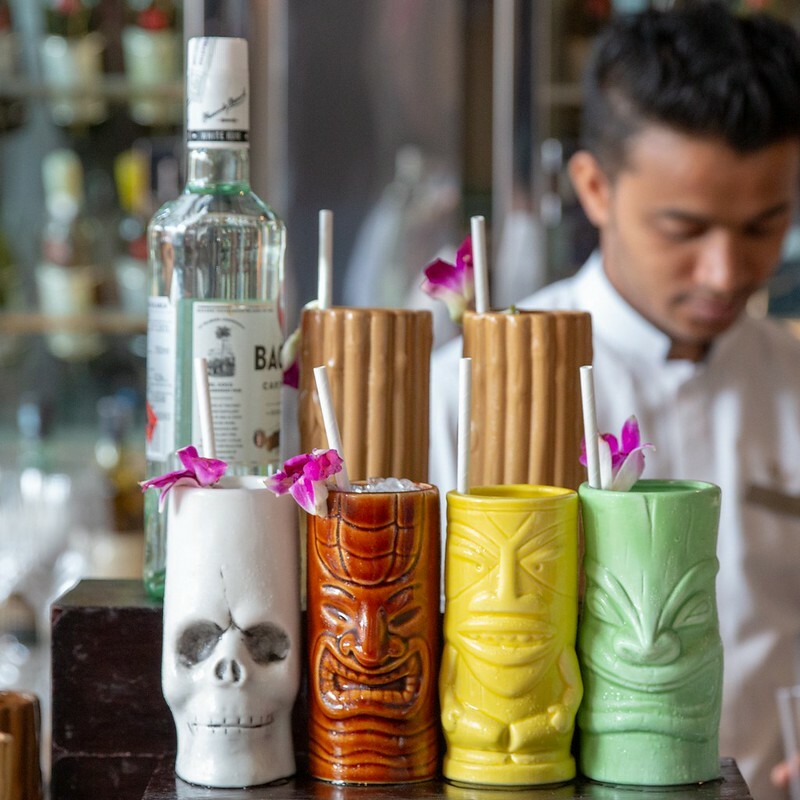 Cocktail options are great and they are sure to add more zing to your meal! 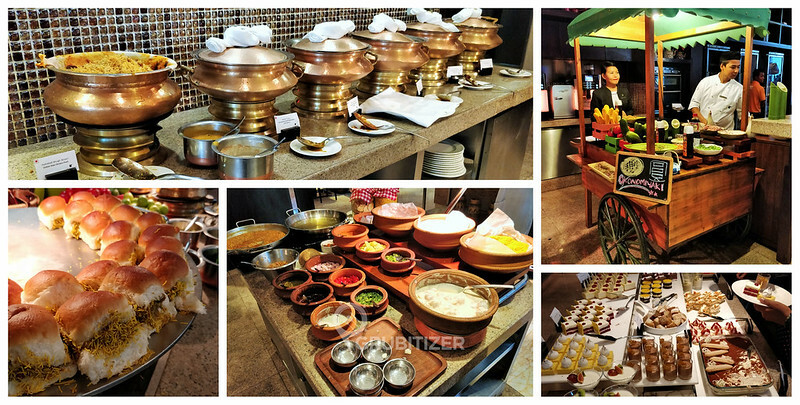 The monsoon Sunday Brunch is on for few more week, so head over to JW Kitchen, city’s most loved restaurant and savour some classic monsoon delicacies to sooth your appetite. The monsoons have this natural way of making everything that much more beautiful and you will experience just that from your visit!